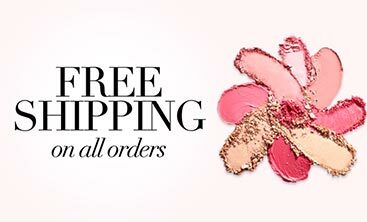 IT’s your complexion perfection in a cushion! 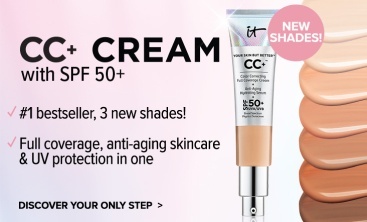 Introducing CC+ Veil Beauty Fluid Foundation SPF 50+, coverage & serum, to brighten your complexion, improve skin tone evenness and minimize the look of pores & fine lines! 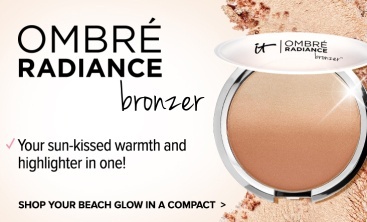 This Anti-Aging & SPF 50+ formula is infused with pure coverage pigments. 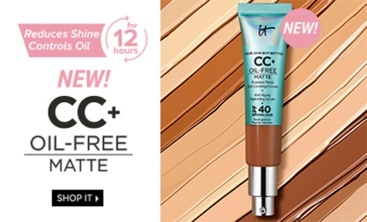 CC+ Veil has an ultra-lightweight, breathable beauty fluid formula that is infused with pure color pigments for buildable coverage that lasts! This SPF 50+ UVA/UVB Broad Spectrum Sunscreen protects your skin from UVA/UVB rays. Fluid foundation that covers, brightens and protects! ACTIVE INGREDIENTS: TITANIUM DIOXIDE 12.1% ZINC OXIDE 6.3% INACTIVE INGREDIENTS: WATER, CYCLOPENTASILOXANE, BUTYLOCTYL SALICYLATE, C12-15 ALKYL BENZOATE, BUTYLENE GLYCOL DICAPRYLATE/DICAPRATE, SILICA, GLYCERIN, CYCLOHEXASILOXANE, CAPRYLIC/CAPRIC TRIGLYCERIDE, HYDROGENATED POLYDECENE, POLYMETHYL METHACRYLATE, CAPRYLYL METHICONE, PEG-9 POLYDIMETHYLSILOXYETHYL DIMETHICONE, ALUMINUM HYDROXIDE, CETYL PEG/PPG-10/1 DIMETHICONE, STEARIC ACID, POLYGLYCERYL-4 ISOSTEARATE, HEXYL LAURATE, TRIETHOXYCAPRYLYLSILANE, MAGNESIUM SULFATE, CAPRYLYL GLYCOL, PHENOXYETHANOL, ETHYLHEXYLGLYCERIN, QUATERNIUM-18 BENTONITE, SORBITAN SESQUIOLEATE, PUERARIA LOBATA ROOT EXTRACT, 1,2-HEXANEDIOL, DISODIUM EDTA, BUTYLENE GLYCOL, CITRUS GRANDIS (GRAPEFRUIT) PEEL OIL, VITIS VINIFERA (GRAPE) SEED OIL, PERSEA GRATISSIMA (AVOCADO) OIL, PUNICA GRANATUM SEED OIL, CHOLESTEROL, NIACINAMIDE, HYDROLYZED HYALURONIC ACID, COLLOIDAL OATMEAL, ANTHEMIS NOBILIS FLOWER WATER, LACTOBACILLUS/HONEYSUCKLE FLOWER/LICORICE ROOT/MORUS ALBA ROOT/PUERARIA LOBATA ROOT/SCHIZANDRA CHINENSIS FRUIT/SCUTELLARIA BAICALENSIS ROOT/SOPHORA JAPONICA FLOWER EXTRACT FERMENT FILTRATE, PERFLUOROHEXANE, OLEA EUROPAEA (OLIVE) LEAF EXTRACT, ALOE BARBADENSIS LEAF EXTRACT, CAMELLIA SINENSIS LEAF EXTRACT, CHRYSANTHEMUM INDICUM FLOWER EXTRACT, MAGNOLIA KOBUS BARK EXTRACT, GLYCINE SOJA (SOYBEAN) SPROUT EXTRACT, CINNAMOMUM CASSIA BARK EXTRACT, ARTEMISIA PRINCEPS LEAF EXTRACT, DIOSPYROS KAKI LEAF EXTRACT, MORUS ALBA FRUIT EXTRACT, PERFLUORODECALIN, PENTAFLUOROPROPANE, CURCUMA LONGA (TURMERIC) ROOT EXTRACT, STEARETH-20, HYDROLYZED SILK, CITRIC ACID, POTASSIUM SORBATE, SODIUM BENZOATE, N-HYDROXYSUCCINIMIDE, HYDROLYZED COLLAGEN, CAPRYLHYDROXAMIC ACID, CARNITINE HCL, FOLIC ACID, NIACIN, ASCORBIC ACID, BIOTIN, THIAMINE HCL, RETINYL PALMITATE, RIBOFLAVIN, PANTOTHENIC ACID, TOCOPHEROL, CHRYSIN, PALMITOYL OLIGOPEPTIDE, PALMITOYL TETRAPEPTIDE-7, CHLORHEXIDINE DIGLUCONATE, [+/-: IRON OXIDES (CI 77491, CI 77492, CI 77499)]. Your Skin But Better CC+ Veil SPF 50+ is rated 3.8 out of 5 by 83. Rated 2 out of 5 by Patton from Great product, TINY AMOUNT, not worth the price. I spend an absurd amount on makeup and consider it a hobby as well as a necessity. I fell in love with the ease of use for this packaging style, and love the finish of the veil itself. It is light weight, color correcting, and just feels luxe on the skin...THAT SAID, there are other similar options with almost double the ounces for the same price. THAT ALONE caused me to return the compact and buy another brand. IT, I will return and buy the heck out of these if you include even the TINIEST increase in value for this veil. Rated 1 out of 5 by Skin care collector from Really? I've honestly tried every foundation and powder from IT Cosmetics and I've never been disappointed until I tried this product. I couldn't get this to make sense with it's streaky drying texture and it's completely wrong packaging. 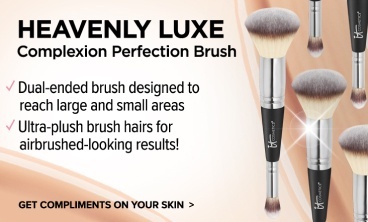 Dipping brushes into it and clean fingers did not help this product's coverage, texture, finish none of which were good. Also, is this a sample size?? The first few times I tried it there was so little product inside that I wondered if I received a dud but I see that other customers had similar experiences. This "foundation" seems like it's from a different company. Rated 3 out of 5 by found guru from grea product but very little product in the contai I love this foundation and would rate it a 5 for the makeup itself. Unfortunately there is very little actual product in the container which makes it exorbitantly expensive.The product is mostly a compact with 2 sponges and a container with very little makeup and most is absorbed in the two sponges. 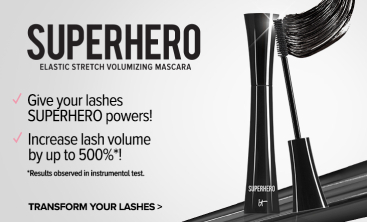 If this product is going to be successful, they need to sell a refill at a reasonable price. Rated 3 out of 5 by KatieKat from Love it but so little product I absolutely loved this when I first bought it, but then I noticed it seemed to run out so quickly. I used it maybe a few weeks almost everyday when I noticed the puff coming back witless product. And sadly the cost of a refill, which isn't included was almost the same price. Ive used other cushions before and usually if there isn't a cushion refill already available its around half the price as the product. So I don't know if I will be re-buying, might take a lot to get that to happen. I recommend because its so nice, but would warn them. Rated 2 out of 5 by Lamaitresse from I really want to love this brand.... I'm a naughty make up addict, it's my passion and number one vice. I'm trying to be a bit more responsible financially since I spend monthly on cosmetics what a lot of families spend oh, I just won't say, it's absurd (I don't have children and have to look well for my career). However, if the majority of women are finding that this foundation is only lasting one month instead of four to six, this base is far more expensive cost per wear than Tom Ford, La Prairie, Chantecaille. Come on, Jamie, your brand was built by the buying power of average women, a packaging redesign is a must! You certainly won't have me trying foundations,it's not efficient for me to buy, try and hope that it lasts as well as a tested favourite. Rated 5 out of 5 by Dgrl372 from Love I bought this product several months ago. I don't wear foundation every day and I tend to prefer a lighter coverage when I do. I don't like feeling my foundation on my skin or having it look obvious that I am wearing make up. 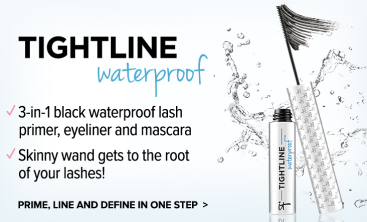 This product is perfect! 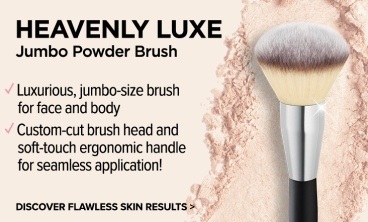 I use the dual ended brush to apply it and I love that it provides a sheer coverage that I can build on if needed. 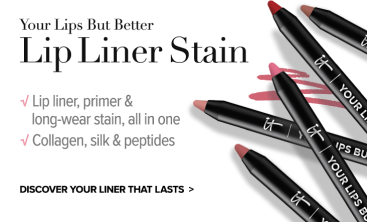 I pair it with the bye bye undereye and it is great. I am blonde, with fair skin and I wear the medium. It is a perfect match. I have seen complaints that it isn't a value for money, but I don't use it every day, so for me it is. And I love that I can travel with it and it doesn't get everywhere. Rated 3 out of 5 by sofieZ from good color matching but doesn't last long The color matching of IT cosmetics is good, almost perfect, but the cushion compact doesn't seem to last that long. Only had it for two weeks but having troubles getting the product onto the cushion pad. Only really used the product 4 times and seems like I need to get a lot on the sponge for better coverage. 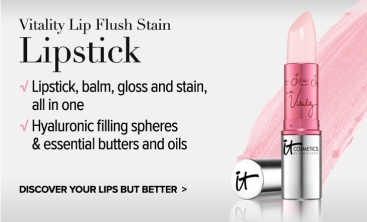 Also, most other brands come with a refill but this doesn't so I don't feel like the value is good.